There tend to be a lot of unknowns when you decide to run a station out of an old caboose. Which antenna should I use? What are the acoustics like in this big metal box? Where’s the whistle in this thing, anyway? 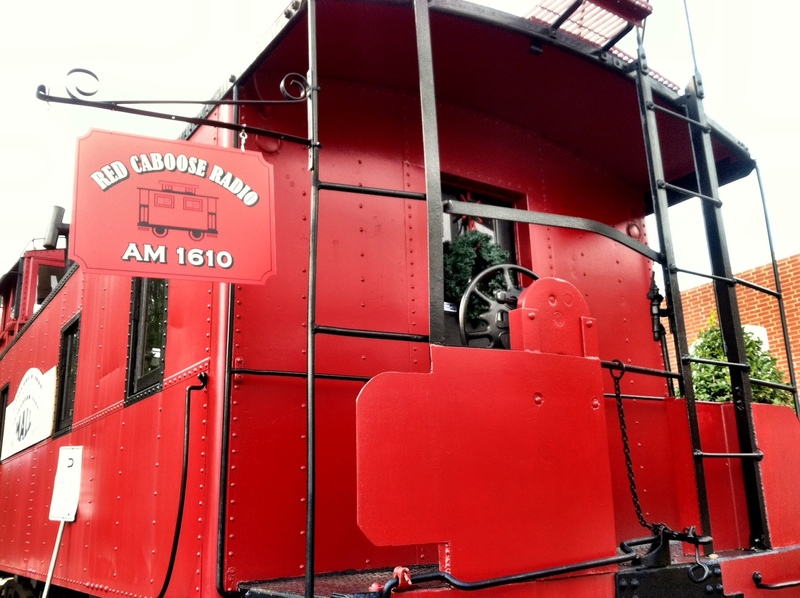 I didn’t know exactly what I was getting into when I started Red Caboose Radio, which we put on the air on 1610 last year from the Whistle Stop Mall in Franklin, NC, using an FCC certified ChezRadio Procaster as our transmitter. But I knew enough to get an Audioarts Air-1 board for it. I know the Air-1 and just about every other console Wheatstone makes. I do voice over work and produce remotes as the operator of Autumn Hill Studios in North Carolina. I have studios in Florida, Georgia, Nevada, and North Carolina, all of which have Wheatstone or Audioarts consoles. I knew the Air-1 to be an extremely flexible multipurpose board. It’s especially suited to this operation because it can be a program board for live on-air feeds or it can be a production mixer when the automation is running the transmitter, which is often. As a very low-powered mall station, Red Caboose Radio airs program loops of mall specials and merchant interviews with the occasional live remote thrown in on the weekends. We’re actually quite popular in and around the mall, which is a converted manufacturing plant with a railroad motif in tribute to all the trains that ran through here at one time. The big red box that is our studio doesn’t do much for acoustical integrity, but it sure propagates the signal. We’re transmitting only a tenth of a watt through the ChezRadio Procaster but our signal reaches beyond the mall about two miles. I plan to use the board’s USB port to feed our main PC for production work, while the computer’s on-board soundcard feeds the automated programming to the transmitter. When we go live, we simply switch the transmitter’s source to the Air-1′s analog I/O to bypass the automation, and we are on the air! Next weekend is a car show at the mall and the car show guys want me to walk around with a wireless mic to interview people. All I will have to do is flip one switch and the Air-1 becomes a live, on-air board. That USB port also will come in handy when I’m recording interviews into the Adobe Audition production and editing suite. I received my Air-1 this afternoon, opened up the box and immediately remembered why I like this mixing console so much. It’s built incredibly well, and with the easy-to-configure, but well isolated switches located under the chassis, we can set input levels, assign tally light configurations, and if a CD deck or other audio source is too hot or too low, adjust the gain range, and forget it. It sure is nice to have the Air-1 on board. Jeff Laurence Gill is a train lover, a voice talent, and the owner of Autumn Hill Studios in the Great Smoky Mountains of North Carolina.